This pair of beautiful girls have been waiting for their perfect forever family. Lenice is our sweet, introverted, and goofy girl. Although she comes across as shy, she is very friendly and outgoing once she warms up to you. She is a purple-loving young woman and her humor can light up an entire room. Her sister, Denice, has a beautiful smile and responds well to positive reinforcement, however, she does struggle with catching on to new things. Sometimes, it takes her a long time to understand what is put in front of her. Denice is such a good helper and feels a sense of pride when she is able to help others. 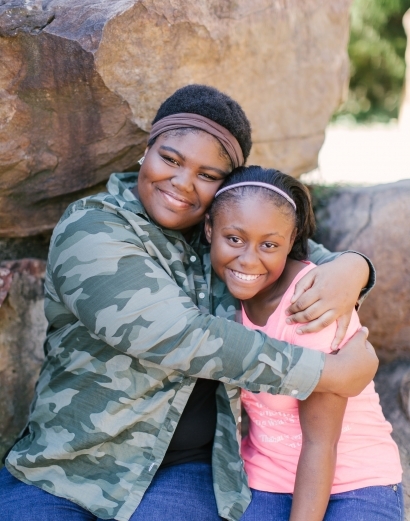 Both sisters struggle some with their behaviors when frustrated, but they’re learning to use their coping skills more and more each day. These girls honestly need a forever family that will love them and provide them with firm consistency and love. These two have such potential to be amazing women if nurtured and loved by a patient and understanding forever family that can see them for who they can be and not see them as the pain they have endured. For more information feel to inquire below.